Jerry Otwell Rutledge of West Hollywood, Calif. has contributed more than $18,500 to the Vernon and Eugenia Rutledge Endowed Painting Scholarship.  The scholarship, established in 2009 to honor his parents, provides scholarships to students majoring in studio art with a concentration in painting in the Department of Art and Art History. Rutledge, a 1963 graduate of The University of Alabama, is a freelance artist and artistic director. He was the original creative director for the National Humanities Series of the Woodrow Wilson National Fellowship Foundation at Princeton University, among other honors. In addition to his artistic and business ventures, Rutledge is an art collector and strong supporter of the Los Angeles Philharmonic and the Los Angeles County Museum of Art.